Mr Matuwi's father, Munyaradzi Zvada, said the family was also looking into offering a cash reward for witnesses. Mr Zvada said: "With the time that has passed since he went missing we are desperate to find answers quickly as any additional day brings more pressure, stress and anxiety levels. "Anyone in this situation would be looking at any possibilities that bring quick results." Mr Zvada said he and his family were "emotionally struggling to cope". "I can't describe the feelings with each passing day," he said. "As a family we are staying strong for each other and we will not stop until we find answers. "Myself and my wife have full-time jobs but we haven't been able to work since our son went missing. "We also have a 10-year-old daughter who is also very upset and is asking questions daily." Darlington E Osezua, a friend of Mr Matuwi's, is organising the concert and said they had been "flyering non-stop" to raise awareness of the event, which has 10 acts performing. He added that he hoped it "helps keep the fire burning for Tapi's search". 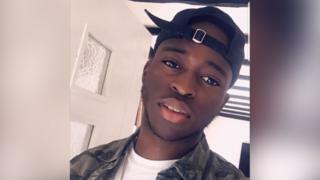 A South Wales Police spokeswoman said the force was continuing to appeal to the public for information, and added: "Our thoughts remain with his family, for whom this has been an agonising time."